"Thank you for your time; thank you for your talents; and thank you for all and your company did on behalf of SAE International and the Formula SAE event. 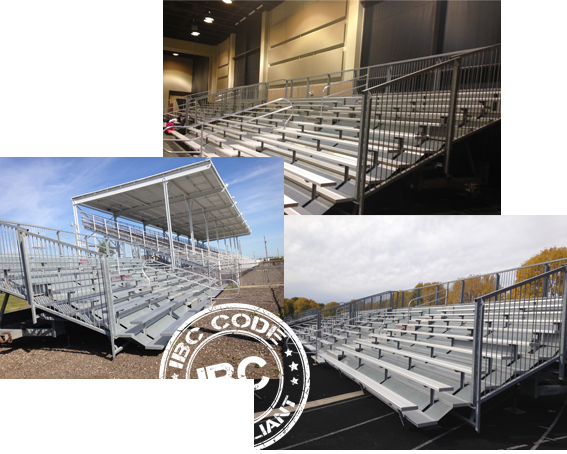 I appreciated working with you and your company and look forward to again...."
Portable bleacher rentals are your quick, easy and flexible solution for indoor and outdoor bleacher seating. Temporary bleacher seating increases ticket sales, provides better visibility for spectators, is environmentally friendly and transforms an area into a more useful event site.